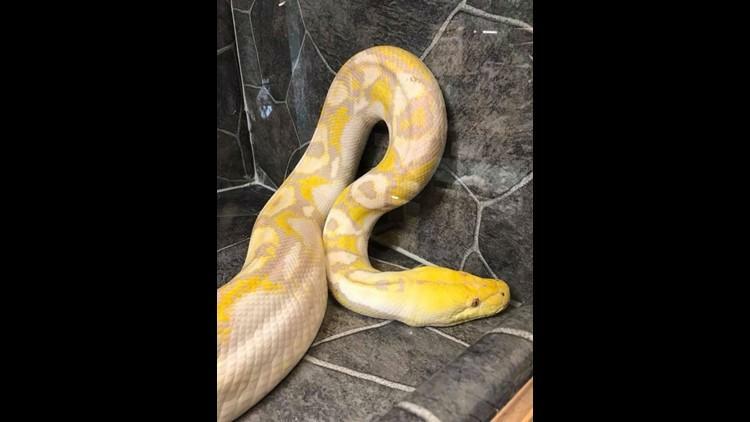 A 14-foot python is on the loose in Redding California after it escaped from a plastic bin being kept at home in south Redding at about 8-9 p.m. on Saturday. The owner has scoured the neighborhood in search of the snake, but no luck so far in finding it. The neighborhood has been warned about the python on the loose. The animal was also affected by all the disruptions caused by the wildfire roaring in Northern California. It was evacuated from the Redding Reptiles store on Thursday night when the fire reached Redding. The store had to move its snakes, geckos, bearded dragons, tortoises to Tortoise Acres in south Redding. Owner Sandra Dodge-Streitch was keeping the python named Eres in a 2-foot-by-4 foot plastic tub, but the snake was able to get out. Dodge-Streitch says she thinks Eres won’t go far so they’re pinning their hopes that she’s still in the vicinity of the neighborhood. They have taken to social media to inform people that their pet python is on the loose and may be hanging out in yards. Dodge-Streitch says Reticulated pythons are strong, and can scale fences. She thinks her beloved pet python might be looking for a place that’s dark, cool and damp, like a pool, or crevice under a deck. She adds that the snake might even be under a tarp. Dodge-Streitch has warned homeowners to keep their small pets like dogs and cats indoor for their safety. She assures, however, that Eres has appetite only for chickens. 90% sure it is crispy Well Done by now. Plus come winter, it will DIE unless it is able curl up around a Hot water heater or furnace by seeking inside cover.